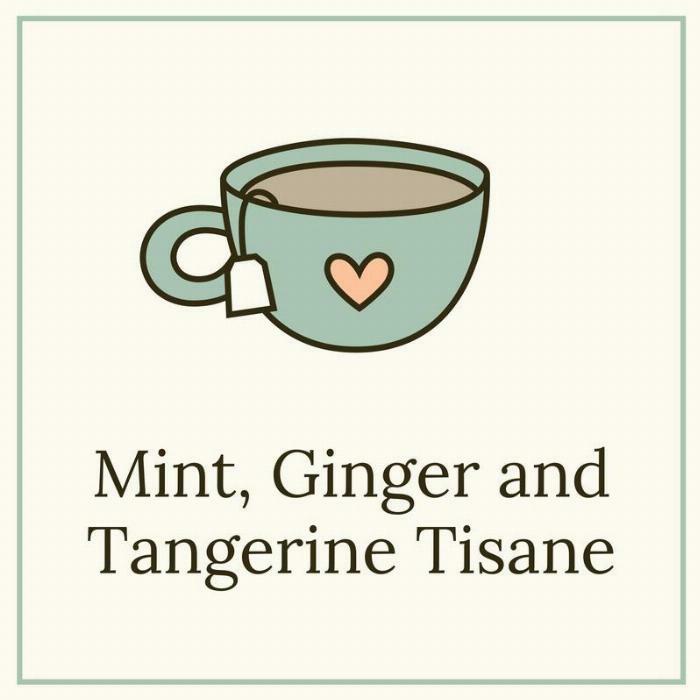 A tisane is an herbal tea, consumed especially for its medicinal properties. This tea is especially good for anyone with stomach upset. 2Place the mint, ginger, and tangerine peel in the hot water, then lower the heat and simmer, covered, for about 3 minutes. 3Turn off the heat and let the brew steep for another 3 minutes. 4Remove the herbs by pouring the mixture through a strainer. 5Add honey, if desired, then serve.